Thorough inspection service to determine whether you have a termite problem (or something else) and what type of termite are responsible. Your first inspection is on us (not valid for inspections for real estate transactions)! Treatment plans customized to the type of termite you are dealing with and where they have colonized. Our technicians will provide feedback on what you can do to prevent termites on your property. Preventative measures from Certified Sentricon® Specialists to reduce the risk of returning termite colonies. The termite population in the south continues to increase year after year. Where termites are beneficial when it comes to decomposing fallen trees in forests and other natural settings, when they’re in neighborhoods, termites are bad news. Thousands of dollars in damage can be caused by termites in homes. Their diet is primarily made up of an organic fiber found in wood known as cellulose. This can lead to significant structural damage – including damage to floors, walls, ceilings and foundations. Holder’s has the solutions needed to evaluate the damage and eliminate the source. When you’re worried about termites on your property, we know you need someone to act fast. At Holder’s, we do everything we can to be there either the same or very next day for any pest request, including termites. Give us a call (800-335-5315). Where many signs of termite damage can be found on the outside of your home, there are also interior points of interest when it comes to termites, so for your first inspection, yes, we would recommend you be home, so we can do a thorough inspection. What type of treatment is used? Sentricon® is a baiting and monitoring system that provides ongoing protection against termites. This termite prevention system uses cellulose-based bait that offers an alternative meal that termites find on their way to your home. The active ingredient used in Sentricon® inhibits reproduction, meaning that the termite colony will eventually die off. Our second method of treatment is for properties that are already experiencing termite troubles. 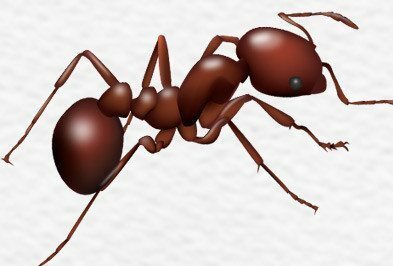 Our spot treatments are either liquid or foam and are injected into areas where termite infestations have been identified or where damage has occurred. The length of time a treatment lasts is dependent on the type of treatment performed and the conditions around the home or business. Depending on whether preventative action is necessary or spot treatment (or both), our application process will vary. All of our termite treatment methods and identification processes are customized to our clients’ needs. Is treatment safe for my friends and family? 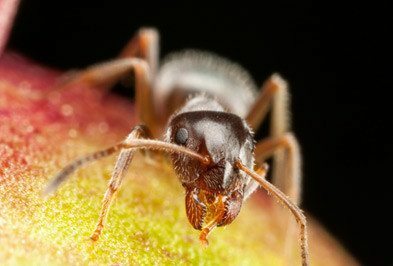 The products we use are specifically selected to address the pest you are facing. 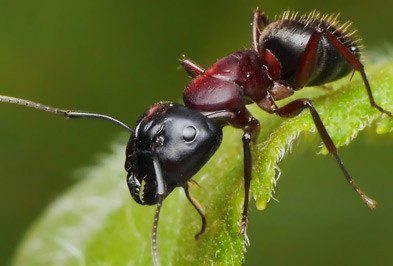 They are also formulated to control each pest in a way that is most suited to their habits and biology. With that in mind, there is minimal impact to non-target pests and your family can go about your normal habits after a treatment. If you’re experiencing termites, chances are there is a lot of moisture near your home. Termites that build their colonies in the soil, or subterranean termites, are attracted to moisture inside or around the foundation of your home. Termites need moisture to survive, which is why they travel through mud tunnels rather than wandering out in the open like an ant. 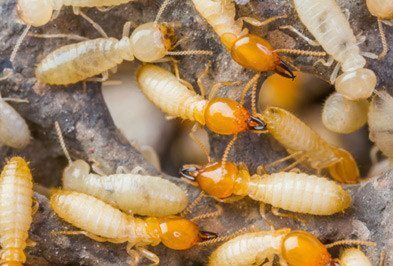 Termites need the cellulose in wood to get the proper nutrients needed to survive, so they’ll travel wherever they need to in order to get it. Wood or wooden structures that come in contact with the soil around your home are not only a food source, but also a bridge for termites to get into your house. Because they’re light in color and tend to stay in the soil, termites are difficult to see. Often the first sign of termites is “swarmers,” or winged termites on the exterior of your house (sometimes even just wings), mud tunnels on your foundation, or damaged wood. Finding the queen of the nest ultimately leads to their elimination. You can also help limit the attractiveness of your property by avoiding direct wood-to-soil contact, keeping your home in good repair, eliminating standing water and inspecting your property regularly to watch for signs of termites. Selecting the right treatment is based on how your home was constructed and the amount of damage already caused. Partner with Holder’s team of professionals for any and all termite control needs. Our team has the expertise needed to identify the source and implement the appropriate remedies that lead to termite elimination and future prevention.